Project T Solutions offers Serviced Offices to clients from Premium, Interior and Window Office. Each of our office can accomodate 5 seats up to 60 seats with fully air conditioned room, chairs, desktops and tables. Enjoy the relaxing atmosphere in our business lounge, comfortable japanese style sleeping quarter, cozy waiting area, free flow drink of hot coffee and alkaline water at our cafe-themed pantries, access to game nook and hold meetings and events on our meeting rooms with fully equipped facility. One of Project T Solutions’ Prmium Office is “Tawi-Tawi Room”. It has 29 workstations with 75.84 sqm room area. 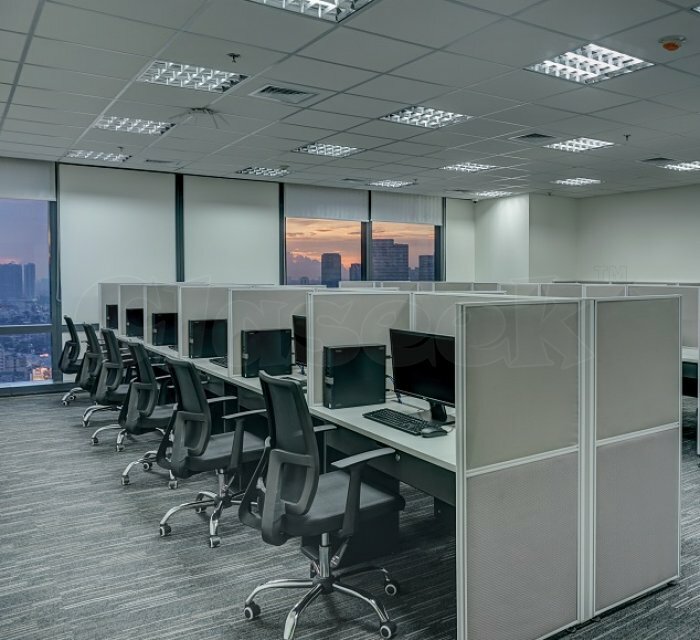 Visit Project T Solutions at 23rd floor Bonifacio Stopover Corporate Center, 31st Street Corner 2nd Avenue BGC, Taguig City and let us welcome and tour you to our modern and friendly office.